Briedis will clash with France’s Brandon Deslaurier (11-1-1 1KO) on the undercard of Usyk/Gassiev. The former WBC cruiserweight champion hopes to return in full force after losing his title to WBSS finalist Oleksandr Usyk. Not much can be said about his opponent. He is 25-years old, has only thirteen fights and has never fought outside of France. Well, there is the fact that he only has one knockout win out of his eleven wins too. It may be safe to say Briedis may not have much to worry about in terms of power. Given the inexperience of Deslaurier, expect this to be a showcase fight for Briedis to gain some momentum back after a debilitating loss. Usyk/Gassiev will take place July 21 in Moscow, Russia. James DeGale Vacates His IBF Title! 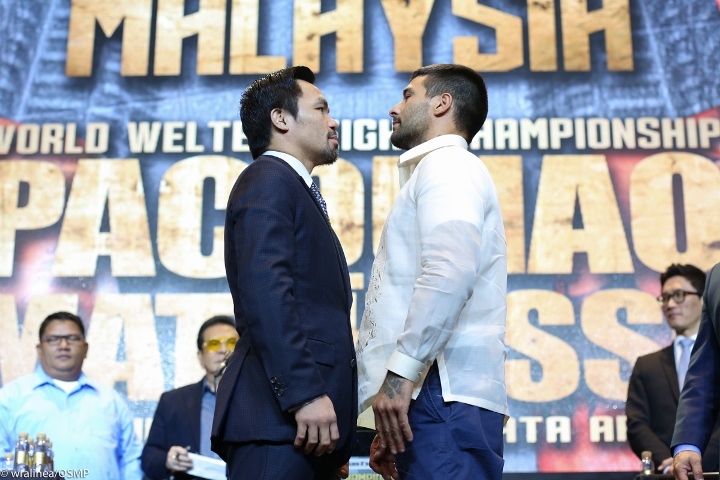 Financial Investors Find the Money: Pacquiao vs Matthysse is Safe!